Despite living in a state known for its active fault lines, most Californians don't buy earthquake insurance. 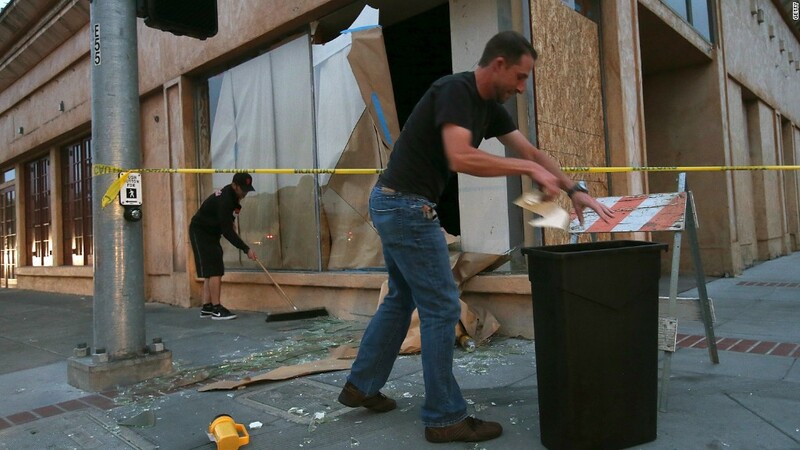 The 6.1 magnitude earthquake that rattled Northern California early Sunday morning shocked a populated area, damaging buildings, sparking fires, rupturing utility lines and injuring at least 176 people. The magnitude 6.1 quake caused some buildings to crumble. Experts say it is too early to fully put a dollar figure on the damage, and the U.S. Geological Survey said the earthquake's economic impact is likely more than $1 billion. Only about one in ten Californians have insurance to cover the damage to their homes and property, according to the California Earthquake Authority. It estimated the numbers are even lower in some of the areas that were affected Sunday, such as Napa, where as few as 6% have coverage. Surveys show the percentage of homeowners who have earthquake insurance is declining across the country. The Insurance Information Institute in May found that 10% of homeowners in the western United States have coverage, down from 22% a year ago. Nationwide, just 7% carry coverage, a drop of 3 percentage points in the last year. People with higher incomes are more likely to buy coverage than those who make less, the surveys reported. California does not require homeowners, renters or building owners to buy such insurance, and earthquake damage is usually excluded from other homeowner insurance policies. The cost of coverage varies, including by location and what the home is made of, but on average it costs California homeowners about $860 per year. More people would carry earthquake coverage if not for misperceptions about what policies do and do not cover, said California Earthquake Authority CEO Glenn Pomeroy. The length of time between major earthquakes may also "lull people into a false sense of security." His group is a nonprofit insurer created by the state legislature after the 1994 Northridge earthquake, ranked the most expensive in U.S. history. Earthquake insurance generally covers the home itself and personal property inside it. Some plans offer cash for emergency repairs and fund temporary living arrangements if a home is badly damaged or destroyed. Those who do have coverage "should call their agent immediately and get the process going," Pomeroy said. Have you decided against buying earthquake insurance? Please tell us your story in an email to gregory.wallace@cnn.com.